Mandy Evans has helped thousands of people to improve their lives by challenging--and changing--their old, outmoded, self-defeating beliefs. Her methods can work by themselves or can complement other self-improvement efforts, including 12-step programs. "Traveling Free gives insight into freedom from victimization through outworn memories--to use your memories without allowing your memories to use you." "A valuable tool for those seeking peace and direction." 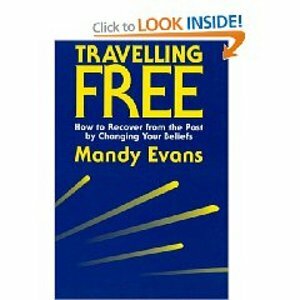 "Mandy Evans' work with belief systems is strong and clear. She helps people overcome their own self-defeating beliefs in an empowering way."